Partypoker will make a lucky — and skilled, of course — poker player’s holiday happy. 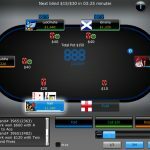 The poker site that seems intent on making a grab for PokerStars’ dissipating glory is hosting a $20 million guaranteed tournament, making it the largest online event ever, from Nov. 25-Dec. 5. This will be the second installment of the $5,300 buy-in Millions event. Last year’s winner, Jonathan “sordykrd” Van Fleet, took home $1.027 million. But this year’s champion is going to receive much more. 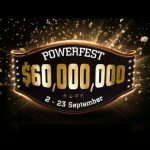 The 2017 version of this tournament guaranteed “only” a $10 million prize pool. That will be doubled to $20 million for the upcoming event. Mega satellites for the mega tournament begin November 25 and the Main Event runs December 1-4. You can win your way into the event for as little as $0.01, although the likelihood of working your way from the bottom to the top aren’t great. If you don’t have the patience to grind through numerous satellites, you can buy directly into a $530 mega satellite where one in every 10 players earn a buy in to the $20 million tournament. Satellites for the event have been running since September 23. 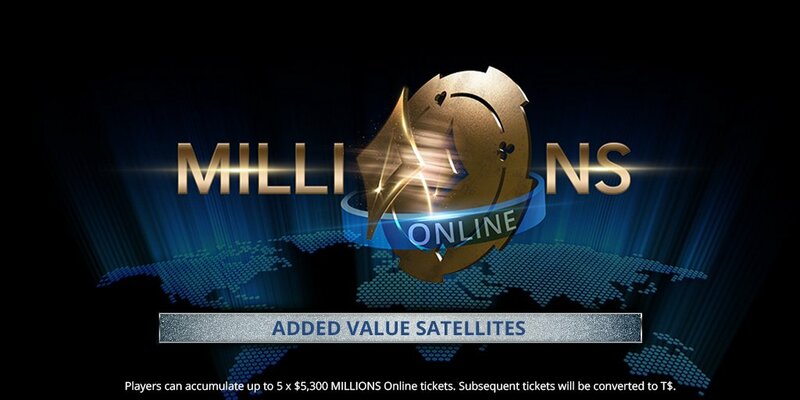 There are eight daily satellites running leading up to the Millions tournament. You could conceivably go from $0.01 in one day to a $5,300 buy-in. But, again, that’s a difficult task. The odds of winning six consecutive satellites are low. The first step, as mentioned, is a $0.01 tournament. If you win that, you move up to the $1.10 level. Advance again and then take on the $5.50 satellites. Win another one and move up to the $22 tournaments in hopes of advancing to a $109 satellite. If you’re still alive at this point, you only have to beat the $530 level to earn a seat. Going from very little to a lot has been done before numerous times online. Just ask Chris Moneymaker. The 2003 WSOP Main Event champion won a $10,000 seat for just $86 in a PokerStars satellite. He then parlayed that into $2.5 million, which is only a fraction of the money he’s earned from winning that tournament. With all the sponsorship deals he’s since received, that $86 investment sure was profitable. You won’t become Chris Moneymaker famous for winning the Millions event, and likely won’t kick off the next poker boom. But you could become the winner of the biggest online poker tournament in history. 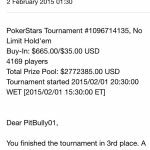 Well, until PokerStars one-ups Partypoker and hosts an even bigger event. The two competing poker sites always try to out-duel the other. Gotta love what PP is doing, the sats, the promos. From what it looks they are really headin in the direction of becoming the bes tsite to play on…. could fix their soft, but oh well I guess. Any1 got in to the 530 satty? I chickend out LUL and got in to regular sat, won the 530 ticket. Saw a few of our members in the 109 tourneys so asumed they did as I. The truth is that it is impressive the amount of large consecutive events that this room has been producing, plus the amount of promotions that it brings with them. I hope it continues like this, it is promising. PartyPoker rushed forward very quickly in comparison with its competitors and I am sure that they and PokerStars will fight for a rather big market share. I am glad that they changed their client and provide excellent online support for users of the room. But this all melts in comparison with the tournament for 20 million dollars! This amount will be difficult not only to collect, but also to spend))) I believe in you! I wish you development and prosperity! Partypoker was the first site i actually deposited on and it is really good news to see their emergence as a major force in online poker, I personally find really good value tourneys on PP, their satellites are well constructed and easy to follow and the software has improved enormously in the past 2 years and is now competing at the very top alongside Pokerstars and Full Tilt. One major plus for Partypoker is that they have alongside 888 some of the best promotions and deposit bonus offers for new and existing players and continue to innovate here with new ideas all the time. PartyPoker quickly moved forward and they have a lot of changes, I liked their new software !I think that it will be difficult to collect the guaranteed amount, and if it happens-it will be epic !I wish PartyPoker Further development !